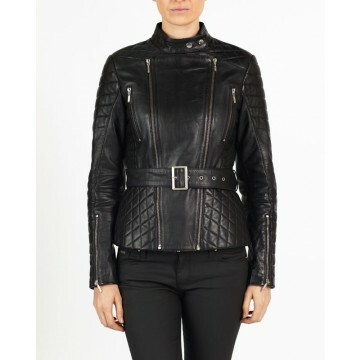 DALIA is a classy designer leather biker jacket made of our special ENGLISH LAMB leather. DALIA is comfortable and delivers a perfect designer fit. Thoroughly detailed work throughout with chic stich work on both arms, a favourite in our collection.